Click on Contact Us and fill in the form. Our office staff will respond within two business days. Call 614-459-8285. Office hours are typically M-F from 8a-4p. If you are calling outside of these hours or your call transfers to voicemail, please leave a message. Our office staff will respond within two business days. January; Kindergarten Information Session typically held in mid-November. We also have a presence at central Ohio events such as children and family expos, summer camp fairs, Catholic Women’s Conference, etc. Visit ourladyofbethlehem.org as often as you like and follow us on social media to find out when and where you can connect with OLB next! Hover your cursor over the “OLB Programs” tab on the blue tool bar to see our program continuum. Click on any one to learn more about that specific program. Click tuition and fees to view our most current rates. Click on and complete a Registration and Application. Once opened, click the “Fill and Sign” tab on the right to electronically complete the forms. 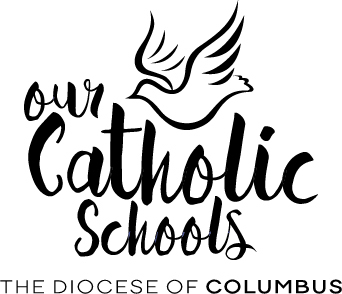 Submit your form to our office by email (Office Manager Lori Ebling at lebling@cdeducation.org), by mail (Our Lady of Bethlehem 4567 Olentangy River Rd. Columbus OH 43214) or by visiting our office in person M-F 8a-4p. payable to Our Lady of Bethlehem. placed on any OLB roster. We are now accepting applications for our Toddler Classroom (age 18 months through 2 years). Please Contact Us and include “I&T Waitlist” in your inquiry. Our office staff will respond within two business days with information and a secure link to our waitlist application. We are NOT ACCEPTING APPLICATIONS FOR OUR INFANT CLASSROOM (age 6 weeks through 18 months). Continue to visit our website as we will post when we will be accepting applications.